Complete safety enclosure for round 13ft trampolines. 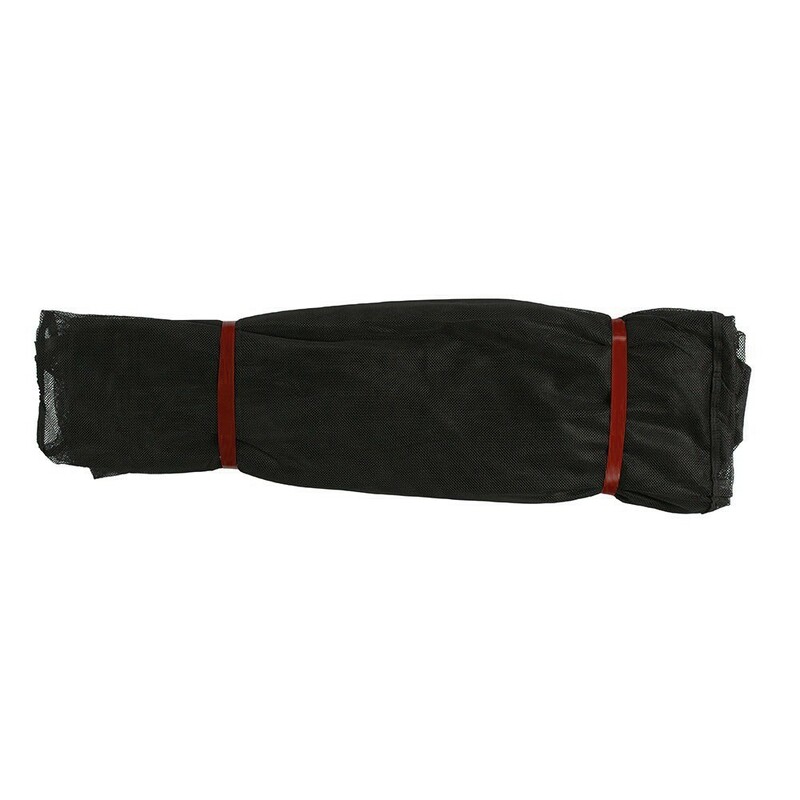 This pack includes the netting, net posts, protective sleeves, fibreglass rods and fixing brackets. 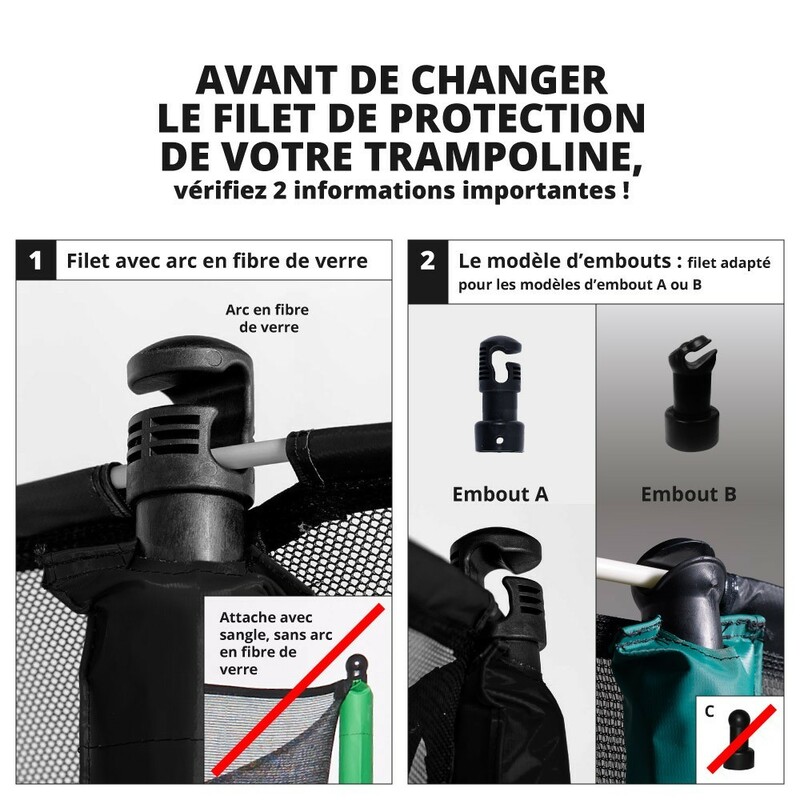 Do you want to equip your trampoline with a resistant safety enclosure? 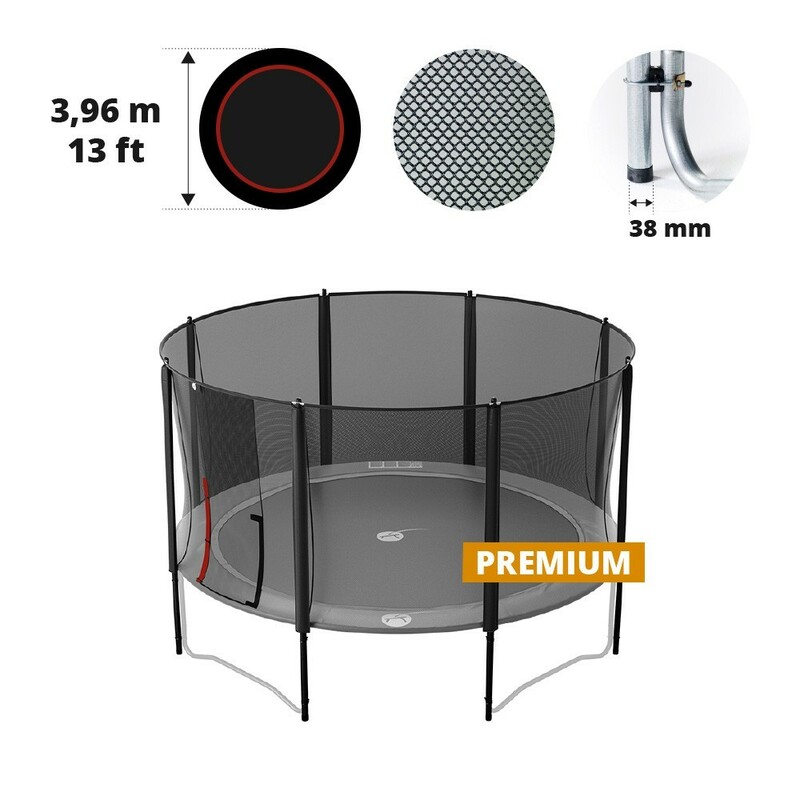 Check out this premium black model for round 13ft trampolines. 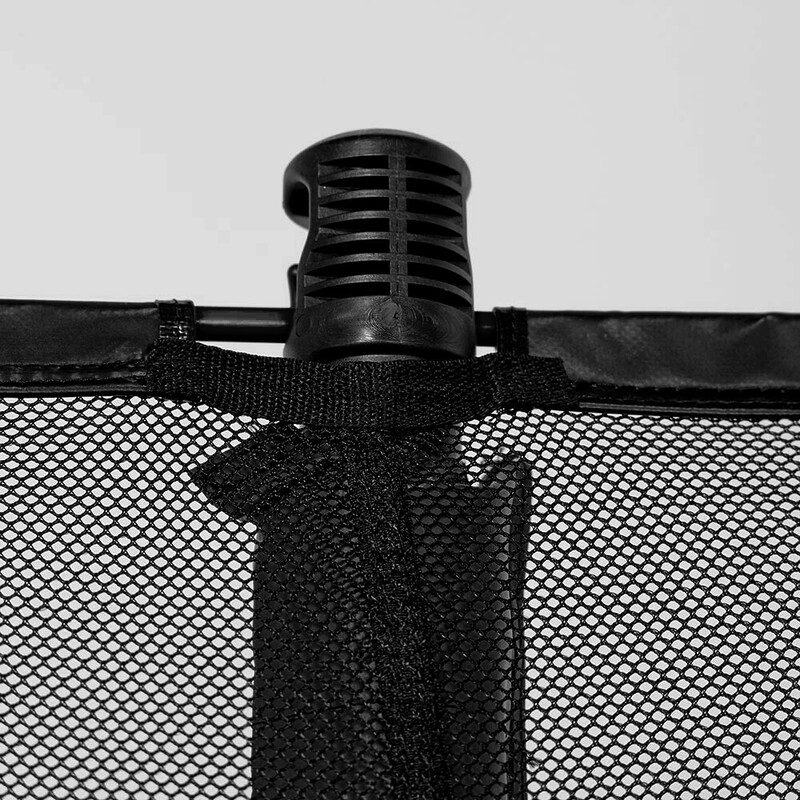 It is delivered with its netting, net posts, fixing brackets and fibreglass rods. 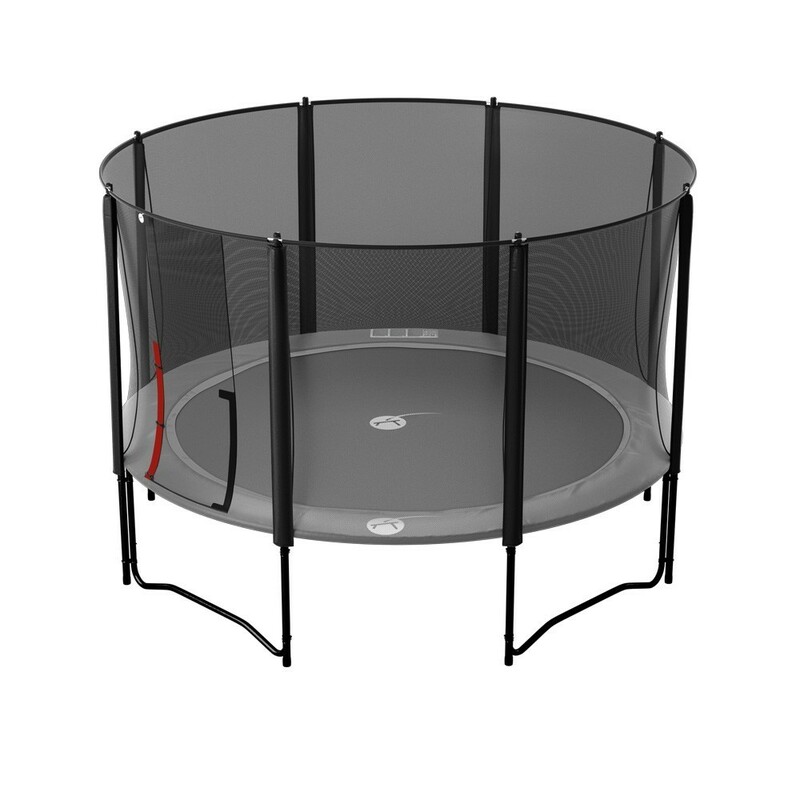 - This enclosure is adapted to round 13ft trampolines with 4 feet (whatever the brand). This model equips our 13ft black Booster trampoline. 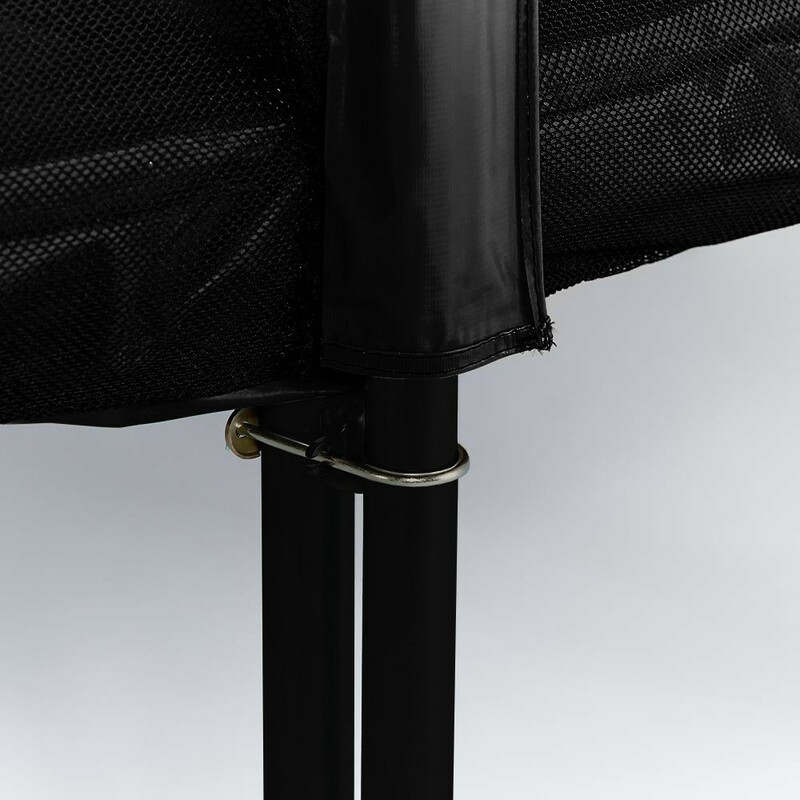 - Guaranteed stability and resistance with its 8 net posts made with 1.5 mm thick and 38 mm wide galvanized steel posts. Measuring 2.69 m, they stand directly on the ground rendering the whole structure more stable. The net posts are fixed in separate points on each trampoline foot. 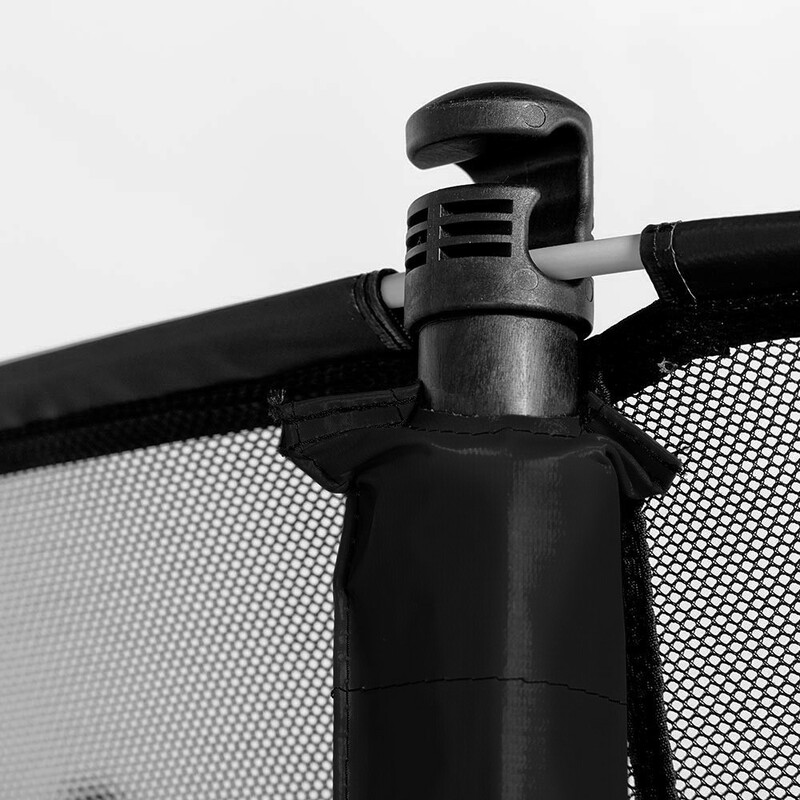 - Maximum safety: the top part of each net post is protected with 10mm thick foam and covered in a PVC sleeve, absorbing any shocks. 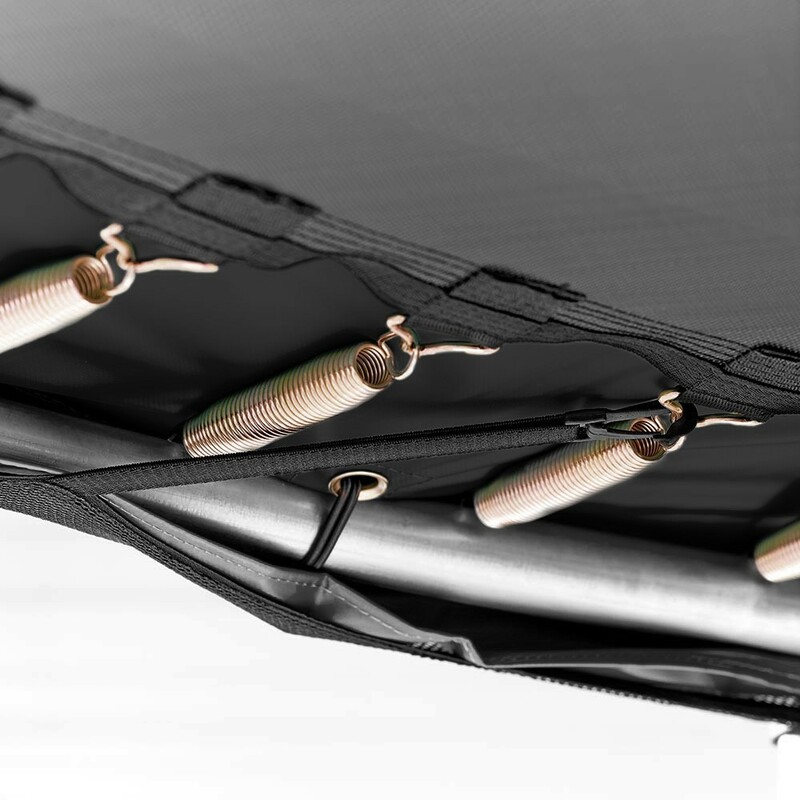 The net is attached at the top of the net with fibreglass rods and under the frame pad for maximum tensions and to avoid any risk of legs or arms getting caught between the net and the frame pad. - Soft and extra-resistant. Made from fine polyester netting, children will not be able to get their fingers caught. 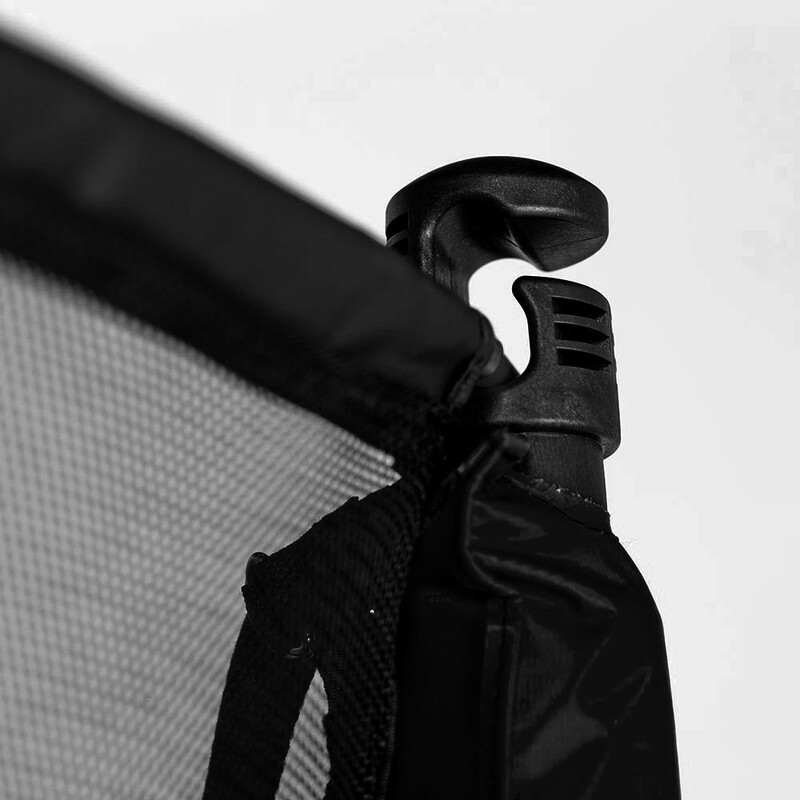 It is equipped with an overlapping entrance which closes with Velcro strips and several snap hooks.